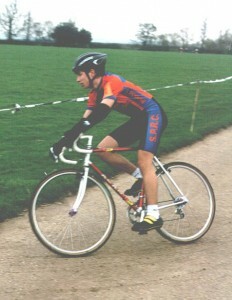 Aged 16 at the Juvenile Midland Championships (1998). At age 28 and 10 years on, I have finally found the motivation to once again start cycling properly. In the back of my mind I’ve always told myself that I’d cycle and race again but life, travelling, relationships, work, and shamefully a bit of laziness have taken a priority (entirely my choice I have to say). So far exercising during my twenties has been somewhat sporadic, limited to the odd run, turbo session, and a bit of climbing but never anything more than that. Personally I blame the rapidly approaching number 30 and the inevitable decline of bodily function for my somewhat panic induced fitness fad, although my girlfriend thinks it’s perhaps to get away from her. Still, motivation is an elusive beast and is often only captured when it’s in line with your core values, or when you feel you have no other choice but to tackle the issue at hand. I guess this is a bit of both; my core values being shifted around a little bit, and genuinely feeling like I have no other choice but to get training again and better the form I once held before it’s too late. It’s not a chore, at least not all the time, but going from a mediocre 40 miles a week (which can easily be 4 turbo sessions) to over 100 miles a week does require dedication. Sometimes you just don’t feel like going for a 30+ mile ride on a Sunday morning. So far I’ve been cycling consistantly since April last year although I haven’t clocked up any significant miles. After some time off from November – early Jan this year (for various reasons) and missing most of the cyclo-cross season, physically I’ve felt really good the last few weeks. Don’t mistake that as being strong(!). Rather, I’ve had plenty of energy which feels great. Suffering badly(!) at Allestree Park, September 2009. 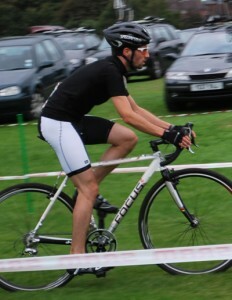 My first cross race in about 10 years. Pingback: theboywonder.co.uk » Blog Archive » The Fight Back to Fitness, Part 2 - … ok, well at least I'm trying.